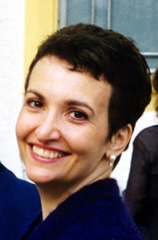 Laura S. Grillo earned her Ph.D. in History of Religions from The University of Chicago, specializing in African religions. She also holds an M.Div. from Union Theological Seminary and an A.B. in Religious Studies from Brown. Her fieldwork on West African divination was sponsored by the National Endowment for the Humanities, the American Academy of Religions and the West Africa Research Association. She held post-doctoral fellowships at the Institute for the Advanced Study of Religions at The University of Chicago and The Coleman Center for African Studies at UCLA. She is in her 6th year as co-Chair of the African Religions Group of the American Academy of Religions. Laura has worked in the National Council of Churches Office of Human Rights, and the All Africa Conference of Churches in Nairobi. She teaches at Pacifica Graduate Institute. Her articles on African religions appear in reference works including: The Encyclopedia of Religion, Encyclopedia of Women and World Religion, Religion in Geschichte und Gegenwart, and Encyclopedia Britannica, as well as Religions of the World and The Histories, Languages and Cultures of West Africa. Recent publications include: “’When you make sacrifice, no one is a stranger’: Divination, sacrifice and identity among translocals in the West African urban diaspora,” in Religion Crossing Boundaries; the chapter on “African Ritual” in The Wiley-Blackwell Companion to African Religions; and an article entitled “The Urgency of Widening the Discourse of Philosophy of Religion: A Discussion of A Primal Perspective on the Philosophy of Religion by Arvind Sharma” in The Journal of the American Academy of Religion.